The Minister accused Atiku of plotting to replicate the "Venezuelan model in Nigeria". Guaido's has said he would assume the powers of the executive arm of government from there onwards. While accusing the former Vice President of acts capable of causing political instability, the Minister advised Atiku to explore legal options while challenging Buhari's victory at the polls. "As you must have noticed in recent times, posters bearing the picture of former Vice President and the presidential candidate of the PDP, Alhaji Atiku Abubakar, with the inscription: 'The Pukka, H.E. Atiku Abubakar, the real and the right', have surfaced across major streets in Abuja," the Minister said. "The posters and the hiring of US lobbyists, the latest of such by the PDP candidate, have triggered questions about what Alhaji Abubakar is up to. Is he starting a fresh campaign after the elections have been won and lost? Has he rescinded his decision to challenge the results of the presidential election in court, perhaps after realizing that the results he claimed to have obtained from the INEC back server are cooked? Is he now going for self-help? 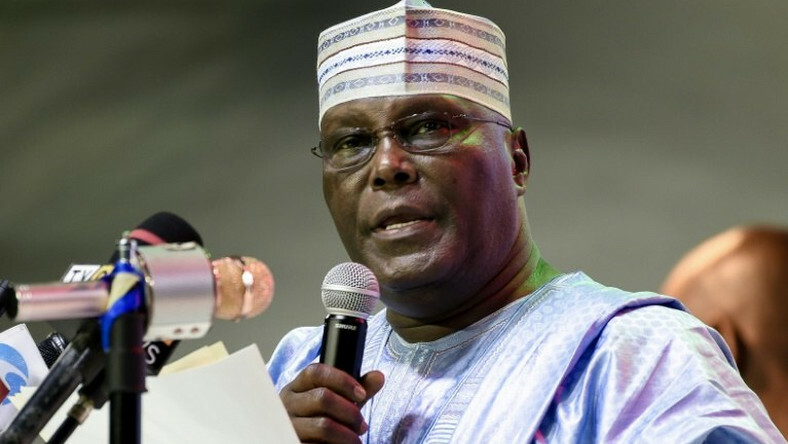 What really is Atiku's notice? "We are aware of media reports that the PDP presidential candidate on Wednesday distanced himself from the posters that are circulating in Abuja. He also reportedly denied hiring US lobbyists, claiming tongue-in-cheek that the APC fabricated the report. If the media reports are right, it means that the former Vice president has suddenly realized the grave implication of his actions, hence has decided to beat a quick retreat before it is too late. "As a self avowed democrat, he should realize that the only lawful channel for challenging the result of an election is through the courts. Resorting to self-help, as he seems to be doing now, is an act of desperation and the consequences are dire. "There is no doubt that the PDP presidential candidate, out of desperation, is thinking of replicating the Venezuelan model right here in Nigeria. But he should realize that Nigeria is not Venezuela, and that the situations in both countries are not the same," he announced. "Alhaji Atiku Abubakar has the right to do whatever is lawful to challenge the outcome of that election. But he cannot get through the back door what he couldn't get through the front door. That will be a pipe dream. "Yes, Alhaji Atiku Abubakar has lost an election. But he will not be the first or the last person to lose an election, and he should realise that losing an election is not the end of the world. He has challenged the result of the election in court. That's just as well. "However, he should not give the impression that he does not have confidence in the judicial process, which is what resorting to self-help implies. He should stop overheating the polity and quit trying to instigate a political crisis in Nigeria. No citizen, no matter how highly placed, is above the laws of the land. Enough is enough!," the Minister declared. Meanwhile, Atiku has assembled a team of 20 lawyers and 400 witnesses to help "reclaim his stolen mandate " in court.